The Women In Business organisation is available to all entrepreneurial women, in the face to face environment and online. Networking opportunties, mentorship, business support and training together with linkages to fellow entrepreneurs are offered in pursuance of entrepreneurial excellence. As the award winning 2018/2019 South African & SACD countries, Africa's Most Influential Women in Business & Government - SME Sector - we are available to assist you to take your business to the next level. Founder, Owner and Brand Ambassador, Ali Engelbrecht, encourages supportive relationships and linkages through participation in conferences, training, workshops, online interactions, mentorship and face to face consultations. We are a 14-year-old non-profit organisation, who offer entrepreneurial women a networking platform both in the face-to-face and in the online environment. Our membership varies from home based to corporate and incorporates many thousands of women and organisationsOur membership varies from home based to corporate and incorporates many thousands of women and organisations. We have sustained ourselves from the voluntary input of our committee members, without ever having received any funding. We have social media presence and credibility nationally and internationally. Chat to us about our awards. Encourage women to become their own person, believe and trust in themselves which creates sustainable business at all levels. Entrepreneurs are encouraged to link with one another globally through the networking platforms available through Women In Business. Women who would like to avail themselves of the services offered by Women In Business are encouraged to join the online platforms. For personal one on one assistance and support complete the "Contact Us" with details of assistance required. Once requirements are ascertained Women In Business will assist directly or enquiries will be channeled through to possible partners. Ali Engelbrecht is available for conference speaking, workshops and Financial Literacy training. Please contact us should you wish to make use of these servies. Social Media Platforms are free for professional interactions. Women In Business is a member of Pietermaritzburg Chamber of Business, represented by Ali Engelbrecht. Ali serves as a the Treasurer and Board Member of the Pietermaritzburg Chamber of Business. Ali Engelbrecht is a mentor of the Cherie Blair Foundation for Women. Women In Business are members of the Business Womens' Association (BWA). These associations allow Women In Business to extend the networking opportunities and linkages to entrepreneurial women. This strengthens the ability of entrepreneurial women to form alliances which will lead to enabling environments. 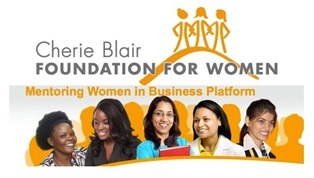 The platform which Women In Business offers are for clients to use to pursue entrepreneurial excellence. 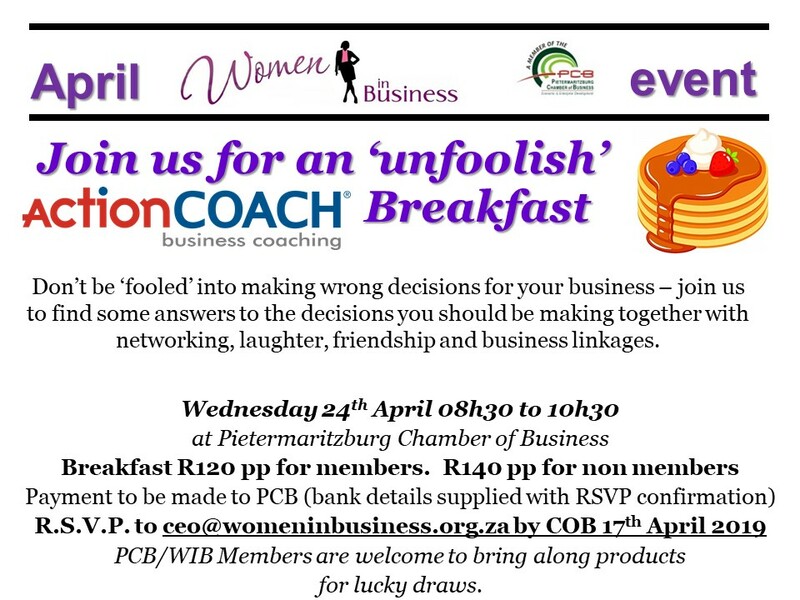 Women Entrepreneurs are encouraged to join the Pietermaritzburg Chamber of Commerce - through this membership women will have access to all functions and events hosted by Women In Business and the PCB.